In addition to exhibiting his work at commercial art fairs, shows, and museums, Gordon Shadrach has been honoured to participate in special exhibitions and fundraisers that support initiatives that work towards breaking down systemic barriers for people both literally and figuratively. His work has been exhibited in shows exposing the longevity of Black culture in Canada, which is very important to him. He also donated works for fundraisers to improve accessibility for people with with physical disabilities. Gordon is proud to support programming that use art to assist the needs of others. “Lucid” is part of a digital exhibit called “Frame of Reference” in the Law Society of Ontario in Osgoode Hall! I had the pleasure of touring the building and was overwhelmed by the sense of history. The exhibit was curated to reflect Canada’s historic diversity in a space that is mostly dominated by white males. It was awe-inspiring to view the many portraits in Osgoode Hall that have such historic provenance and exciting to be part of an exhibit promoting inclusivity. Supporting the Black Youth Design Initiative being developed by Dori Tunstall, the Dean of Design at OCAD University. Gordon is part of the working committee that is exploring ways to connect with black youth through the use of art and design. Newmarket African Caribbean Canadian Association (NACCA) is a community outreach program that engages Black youth to explore their cultural past while preparing them for the future. In 2018, NACCA launched their inaugural Black History Month event with the city of Newmarket. 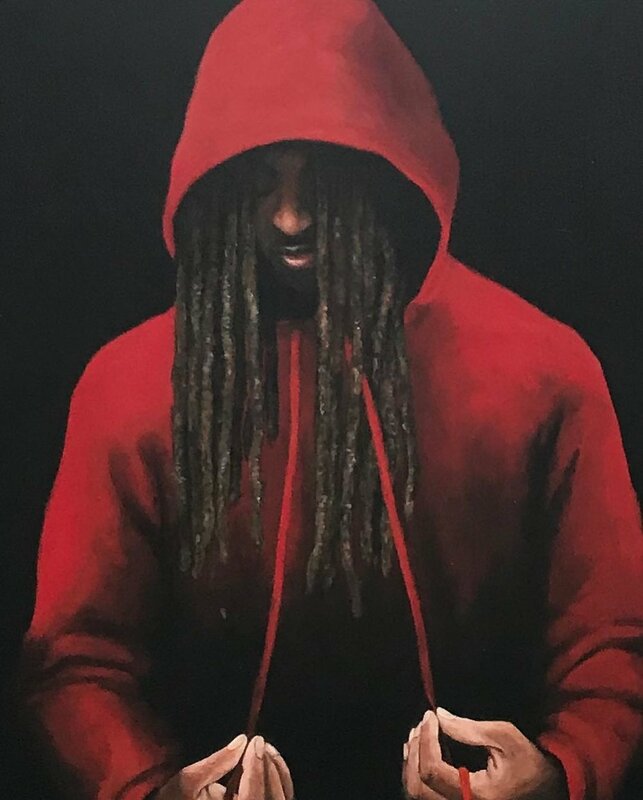 Titled, "Still I Rise”, with a goal to celebrate the various stories within the community, they invited Gordon and artist Syrus Marcus Ware to exhibit artwork that reflected the diversity and history of Black people in Canada. StopGap Foundation was registered as a Canadian charity in October 2013 but its roots date back to the Fall of 2011. What began as a small one-off project in Toronto has turned into a global movement. They have developed exciting programs that help raise awareness about barriers in our built environment and engage communities to work towards removing these barriers. With public support, they have built hundreds of new ramps in communities all over the country and are starting to grow their initiatives internationally. Issues of accessibility and mobility have touched Gordon and his family personally and he has proudly participated in their annual Ramp Up FUNraisers by donating works of art created specifically for their events.